A burglary who was caught trying to break into a his uncle’s house through a dog flap has been ordered to complete 150 hours unpaid work. 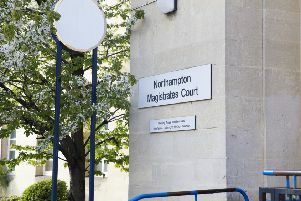 Jack Faulkner, aged 21, of Chiltern Way, Duston, Northampton appeared at Northampton Crown Court after he pleaded guilty to burglary. The court heard that a man in Camelot Way, Duston, became suspicious after a number of items went missing from his house in February 2013. Rebecca Herbert, prosecuting, said the man then decided to take the day off and pretend to go to work by parking his car in a different street and walking back to his property. Later that morning, the man then caught his own nephew crawling through the dog flap at the rear of his property. Faulkner, who pleaded guilty to burglary, must complete 150 hours unpaid work in the next 12 months. He must also pay costs of £500 and victim surcharge of £60.